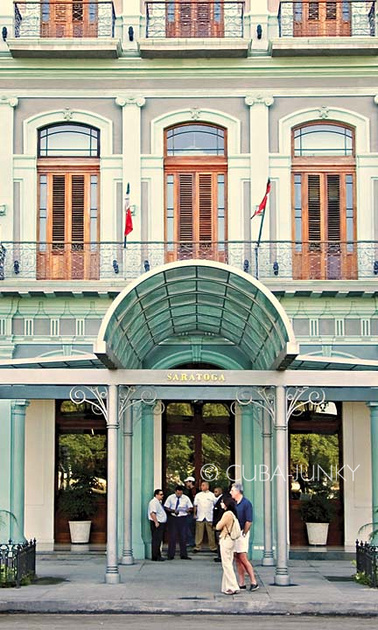 Cuba hotels and resort directory with descriptions, rates and online reservations facility. Vinales, a beautiful romantic vilage, the mainstreet with small houses all painted in different colors. Vinales is located in one of the most beautiful areas of Cuba, in specific for people who love nature and a quiet peacefull atmosphere is Vinales a must see. Havana is probably the most fabulous and special city in the Caribbean, stylish and seedy, something different than New York ;). Havana is the capital city of Cuba. Havana is the biggest city in both Cuba and the Caribbean region, and even one of the oldest cities in the whole Americas. Founded in 1515, and became the capital of Spanish Cuba in 1552. Cayo Largo is the best jewel in the Los Canarreos Archipelago, off the southern coast of the Cuban mainland. The archipelago also includes 300 other cays (with a total of 38 miles, or 62 km, of virgin beaches) and the Isle of Youth (the second largest island in the Cuban archipelago). Province of the famous Varadero beaches and resorts, the city of Cardenas, The Bay of Pigs and Cayo Largo. A place full of luxury Hotels and Resorts, white beaches, turquois sea. You can find a realy huge golf course in front of the hotel zone. Even a Shoppingmall "Place de las Americanas", which has some clothingshops, a supermarket, restaurants and of course souvenirshops. Cienfuegos City has some lovely hotels to offer. Jagua at the bay, La Union for those who want to stay in the city center and the colonial Palacio Azul for a romantic holiday. UNESCO declared Trinidad (founded in 1514, the third Spanish settlement in Cuba) to be a part of world cultural heritage because of its colonial architecture, which dates from the 18th, 19th and early 20th centuries. The oldest part of the city is one of its greatest attractions. Besides this, Trinidad also has a lot to offer for beach and nature lovers. Mangroves and coconut trees, that end at the feet of beaches whiter-than-white, tapering to the sea. Beneath whose calm, turquoise waves lies a reef second in size only to the Great Barrier Reef of Australia, possessing more color and splendor than can be discribed. Santa Lucia has 21 km (13 miles) of wide, white golden sandy beaches bathed by warm turquoise water that is always calm thanks to an extensive coral reef just 2 km from the coast. This reef is the longest one of its kind in the western hemisphere. The hollows and branches of these coral formations from the habitat of a surprising diversity of marine life. The close to 50 beaches in Holguin's Province cover allmost 40 km (25 miles) of coastline. Very intimate, they are among the most pictoresque beaches in the Caribbean and have a warm turquoise water that is very calm, thanks to the protection offered by nearby coral reefs. That excellent site close by the Caribbean sea, with a backdrop of mountains and terrain which determined that none of the city's street would be absolutely level is the setting of one of the most beautiful and joyous of Cuba's cities, filled with a mixture of architectural styles which run from the baroque to the neoclassical. It is a kind of challenge to get there but when you visit the eastern part of Cuba, a must see. In the center of Cuba, you may find the province of Villa Clara. Its capital is the city of Santa Clara, considered an important junction through which passes the central highway, the national highway and the central railway line. Close to Santa Clara is the municipality of Remedios, eighth village founded by the Spanish in 1578.